Composite decking has increased in popularity in recent years, but just how does it compare to traditional timber decking? Introduced as a viable alternative to timber, composite decking can help to reduce or even eliminate the typical maintenance issues associated with traditional wooden decking. Manufactured from a mixture of recycled plastics and wood fibres, composite decking can offer a more sustainable solution than traditional timber. In fact, products from some manufacturers like Trex, comprise up to 95% recycled materials including plastic carrier bags, dramatically reducing the amount of plastics ending up in landfill sites. The component parts are bonded together under high pressure to create an incredibly durable inner core, designed to outlast traditional timber. 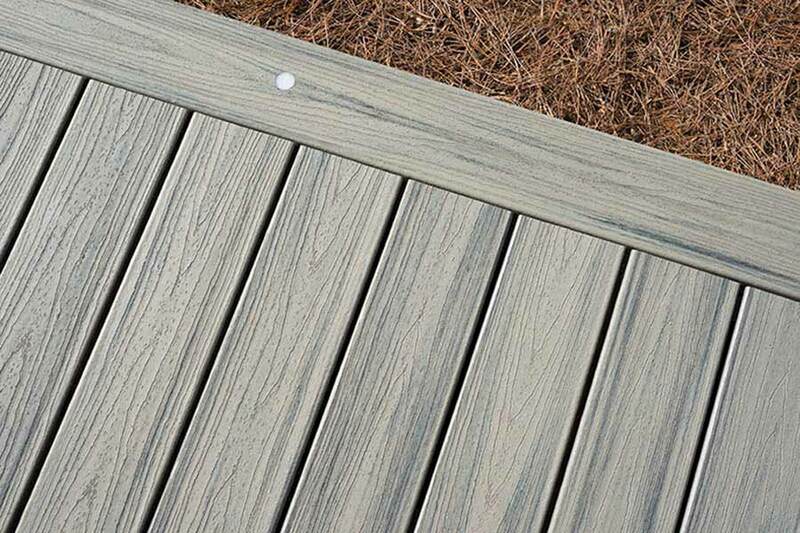 Its outer core, which generally provides protection to the decking on three sides with a breathable layer to the base, is designed to give the appearance of real wood, with a range of different colours and grain patterns available. Composite decking offers greater protection both from rain and the sun’s UV rays, without the need to treat it and will not fade, crack, split, splinter, go mouldy or rot over time. In fact Trex decking systems are guaranteed for 25 years of residential use and 10 years in a commercial environment. Composite decking is particularly well suited for use in the commercial sector where ongoing maintenance can be costly and poorly maintained decking can create a potential hazard for end users. To find out more about composite decking from Trex visit out Trex decking section.